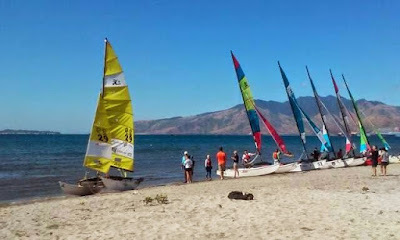 One of the biggest attractions in Subic are the beaches. When it comes to spending a day in the beach, Subic is always the best option as you can choose to go directly to Subic Bay Freeport Zone or try something more adventurous going through the beaches in Subic town and the various beaches from the provinces in Zambales. If you want to explore the beaches inside the Subic Bay, you will never ran out of options when it comes to your accommodation. There are so many beautiful hotels for families, couples, or singles especially along the Boardwalk area and each offers a truly unforgettable experience. 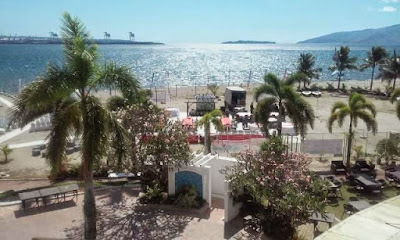 Just take the case of Light House Marina located at Moonbay Marina Complex, Waterfront Road Subic Bay Freeport Zone. This, I guess is considered to be one if not the best accommodation in Subic Bay. We had experienced the best adventure when my family attended a beach wedding by a family friend. We were amused with the grand facilities offered by the resort. Both my son and daughter were secondary sponsors and my daughter was so overwhelmed with their yacht photo shoot experience. The venue was styled elegantly and every detail was carefully looked into. The beach area is really nice with all the decors set up. My son had a great time taking photos at the beach. The wedding ceremony started late in the afternoon and a simple cocktail party started right after. I think this is to give time to the bride and groom to freshen up. After almost an hour, the program started and we were amazed at how organized everything was. Kudos to the event organizer, imagine a complete set up from fire dances down to the fire works and the foods, yes the foods… that was the best part. The buffet set up was so lavish and sumptuous. We were seated at the VIP table since I was one of the principal sponsors and that the bride is a good friend of my husband . We were really served the VIP way. We had several waiters assigned to our table pouring wines and delivering every food from the buffet table from the appetizer down to the soup, the main courses and the desserts. Really a five star experience. The waiters would always check with us if we still want some more and always willingly obliged to our every request. The event host was commendable, he was funny and was able to attract the attention of every guest at the reception. There were parlor games, dances, speeches and the traditional toast for the newly wed. The live band who performed during the event was also good although not that great compared to what I’ve experienced on other events I’ve attended. Needless to say, we had so much fun. Our favorite part was the fire works display. It was really amazing and captivating. My daughter sighed in amusement and jokingly told me and his brother that she wishes to have the same wedding which made us all laugh. 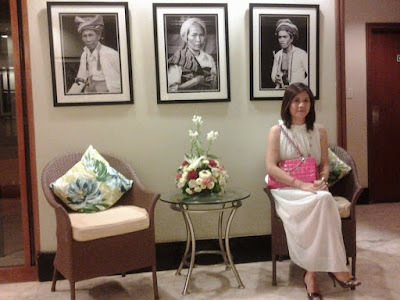 As to the facilities of the resort, the rooms were so spacious and the hotel lobby was big, beautiful and elegant. The hotel staff was very attentive and friendly. Even the guests’ comfort room at the lobby is huge and very clean. The choice of the furniture is also very distinct. Perhaps, one of the major attractions at Light House Marina is the Light House itself. You can appreciate it more during the night time when it is lighted. I could proudly say that the newly wed did not disappoint their guests with the carefully planned wedding ceremony and reception. The choice of the venue was excellent. I could even hear other guests talking how they admire everything, the venue, the preparations, the set up and even the program. For these reasons, I think this Light House Marina experience was an unforgettable one and I would not hesitate to recommend this place to anyone who is looking for a weekend get away or even a venue for any event. For those who prefer to explore and extend their budget, you can always consult Lonely Planet for more affordable options. For those who want to visit Light House, you can find it at the Moonbay Marina Complex, Waterfront Road, Subic Bay Freeport Zone. You may want to get in touch with the hotel’s front desk through their trunk line (6347) 252-5000 or (6347) 252-7545 or at their toll free Manila Number (632)711-0019.